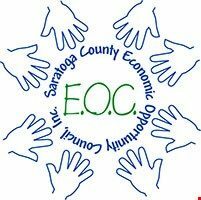 Saratoga County Economic Opportunity Council, Inc. (EOC) is the federally designated Community Action Agency for Saratoga County, dedicated to providing and promoting opportunities for individuals and families to achieve self-sufficiency. Saratoga County EOC is an independent non-profit agency funded through federal, state, and private foundation grants, as well as individual and corporate donations. -Family development, crisis management, referral and advocacy services. -Emergency Food Pantry, Rural Food Delivery, Soup Kitchen, Mobile Food Pantry and Summer Lunch Programs. -Latino Community Advocacy Program which offers English as a Second Language classes, interpreting, translation and advocacy services for Spanish-speaking immigrants and their families. -Women, Infants and Children (WIC) program which provides supplemental foods, health care referrals, breastfeeding consultations and support and nutrition education for pregnant, breastfeeding, and non-breastfeeding postpartum women, infants and children up to age 5. -Head Start, including Early Head Start, for children under five and their families, which provides education, nutrition, health and mental health services. -Weatherization Assistance Program which provides energy conservation measures for homes of income eligible residents and property owners in Saratoga and Schenectady counties.